The University of Iowa Libraries’ Special Collections is pleased to announce the imminent arrival of Open*Set an exhibition in the third floor gallery space in Special Collections March 8-April 19th, 2017. The OPEN • SET competition is a NEW triennial competition that formed in response to the burgeoning interest and palpable momentum in finely crafted design book bindings in the United States. Sponsored by the American Academy of Bookbinding, www.bookbindingacademy.org. All are welcome for a reception in honor of this exhibition March 8, 2017 in the Special Collections Reading Room from 5:30pm. Artist, designer, printer, bookbinder and publisher and Open*Set judge David Esslemont will speak about the exhibition at 6:15pm. Light refreshments will be served. Cathy Adelman began her bookbinding career by accident – a happy accident – at North Carolina’s Penland School of Craft in 1999. In 2003, she graduated from the American Academy of Bookbinding, having spent five years studying with Tini Miura. During that time she also began a 10-year pilgrimage to the internationally known Centro del Bel Libro in Ascona, Switzerland, to study with Edwin Heim and other international master binders. 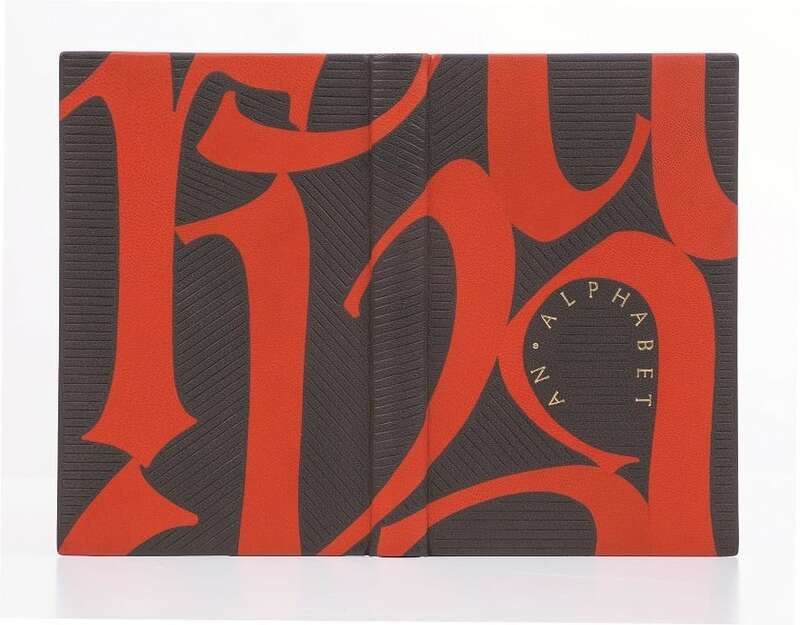 by ARA (France, Canada, Belgium and Switzerland), Designer Bookbinders, Society of Bookbinders, Estonian Association of Designer Bookbinders, Guild of BookWorkers, and Hand Bookbinders of California. She has received several awards from The Society of Bookbinders: ‘Highly Commended’ (2001); ‘Harmatan Leather Award’ for forwarding (2003); and ‘First Prize Case Binding’ (2007). She also received recognition from the Estonian Association of Designer Bookbinders (2005) and the Chicago Public Library (2006). Cathy teaches at the Penland School of Craft as well as privately. She is a Trustee at the Penland School of Craft in Penland, North Carolina, and the Center for Craft Creativity and Design in Asheville, North Carolina. David Esslemont hails from Newcastle upon Tyne, England, and studied fine art (painting) at the Central School of Art in London. He began printing, binding and publishing in 1978 and from 1985 to 1997, was Controller (artistic and managing director, and printer) of Gwasg Gregynog, the University of Wales’ private press. He has won many awards, including the Felice Feliciano International Award for Book Design. He has judged both Designer Bookbinders UK competitions and book design and production surveys in Wales. In 2012, he won a chili cook-off and turned the recipe into a book: Chili: a recipe. This book won the Printmaking Today ‘Innovation in Printmaking Award’ at the Oxford Fine Press Book Fair (2013) and a ‘Best of Show’ Award in the Feast exhibition in Portland, OR. 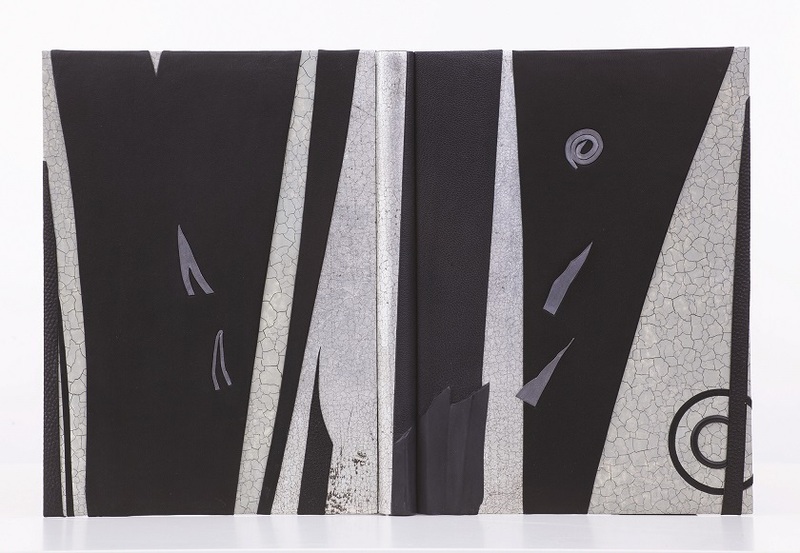 His books and fine bindings have recently been selected for exhibition in Marking Time (Guild of BookWorkers, 2009-11), Feast (23 Sandy Gallery, 2013) and InsideOUT (Designer Bookbinders UK, 2014-15). Esslemont has lectured widely in the U.K. and U.S., and his work can be found in both private and public collections worldwide. His archive is held at the University of Iowa. He has been artist-in-residence with the Wordsworth Trust in Grasmere, England, and the Minnesota Center for Book Arts (MCBA) in Minneapolis. He now lives on a farm in northeast Iowa and continues to work as an artist, designer, printer, bookbinder and publisher. 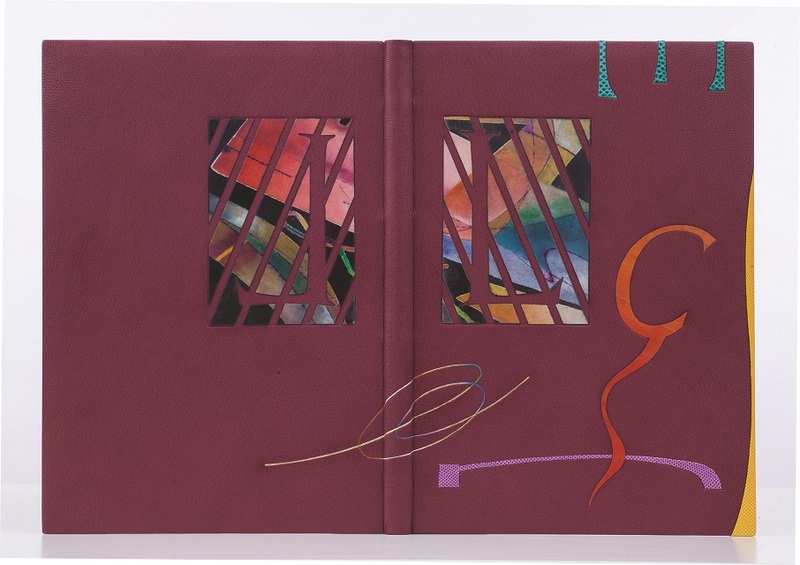 Eleanore Ramsey began her studies in design bookbinding with Barbara Hiller in San Francisco, CA in 1974. She began exhibiting work in 1978 and has been teaching fine bookbinding privately and accepting commissions since 1980. Ramsey has presided over a number of presentations, courses and workshops at prestigious institutions, including Mills College, the University of California at Santa Cruz, Scripps College, the ‘Standards of Excellence’ Conference for the Guild of BookWorkers, the American Academy of Bookbinding in Telluride, CO, and the California Chapter of the Guild of BookWorkers in Los Angeles, CA. Her design bindings have been exhibited widely. Notable awards include Hand-Bookbinding Today: An International Competition and Exhibition, Stanford University, 1992 (winner of the competition); the DeGolyer Triennial Competition sponsored by Bridwell Library at Southern Methodist University (awards received in 1997, 2003 and 2012 for ‘Design’ and ‘Excellence in Fine Binding’); the Oscar Lewis Award, given by the Book Club of California for outstanding contributions in the field of Book Arts (2004); and the San Francisco Center for the Book,in recognition as one of “Five Treasures” for extraordinary dedication and innovation in Book Arts (2009). Ramsey continues to work and teach in her San Francisco studio.